Release Date:09/22/2017;Notes:Double LP version. Includes download code. Steffi occupies a unique space in the realm of contemporary electronic music. Although she's a world renowned DJ, it's her work as a producer that has established an impressive, hard-won legacy. Soon after moving to Berlin in 2007, Steffi joined Ostgut Ton. To date she's released five albums, including two solo releases for Ostgut Ton, a co-production with Virginia, another with Analogue Cops as Third Side, and a collaboration as Doms & Deykers on Martyn's 3024 label. She owns and operates four labels: Klakson (with Dexter), Dolly, Dolly Deluxe, and Dolly Dubs. 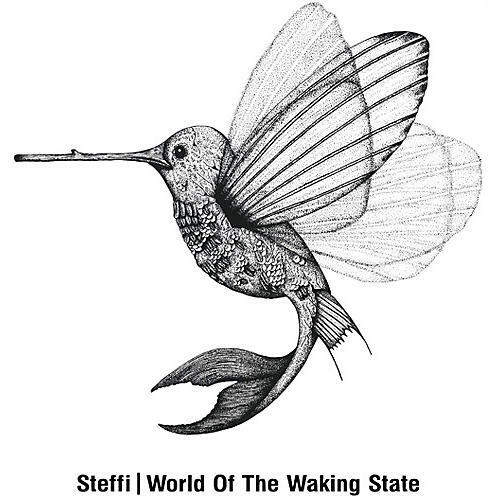 World Of The Waking State is Steffi's third solo album for Ostgut Ton and it's a musical departure for her and the label. Over ten tracks she embarks on entirely new electronic terrain for her productions, marking industrial spaces with superlunary warmth while exercising a refined knowledge of polyphony and arrangement. Subdued melodies interact with each other over implied harmonies and microcosmic drum patterns, luring it's listeners into a world that is introverted, bewildering, and gratifying all at once. "Different Entities" opens with shaded harmonies and glitchy signals, while the pulsing "Continuum Of The Mind" develops with cyclical melodies swaying through staccato percussion. On "All Living Things", complex rhythms take the attention over the restrained melody. "The Meaning Of Memory" pairs low-slung, squidgy percussion with overcast melodic interactions and "Schools Of Thought" flickers through uncharted interplanetary spaces. "World Of The Waking State" pushes pulsing basslines and woeful refrains through an industrial void, while "Kokkie" flickers with acid tones over the languid bass drive. "Mental Events" paints a shadowy aura driven with echoing snares, and "Bounces Of Nature" flaunts meditative pads and expertly layered percussion. "Cease To Exist" brings together the mangled percussion and subtle melodies of the album to full effect. On World Of The Waking State, Steffi stretches her wings, having created the album in a period when she was free from the past and more comfortable in her own skin. The shift in her mindset led to a new freedom of exploration, enabling her to write more experimentally and logically. Gone are the classic drum sounds and conspicuous melodies of her previous works. Instead, Steffi's productions unify disparate molecular details to forge a greater whole, reflecting a serious commitment to abstract electronic composition. World Of The Waking State is a confident and mature work of complex rhythms and refined melodies.